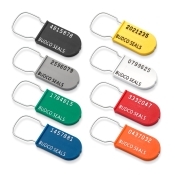 Budco is a stocking distributor of multiple styles of plastic padlock seals. 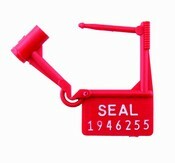 Plastic Padlock Seals are a one time use tamper evident security seal. 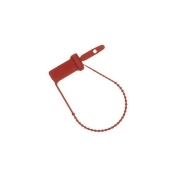 Our plastic padlock security seals come in a variety of tamper evident strengths and an inexpensive solution for security many different applications where tamper evidence is required. 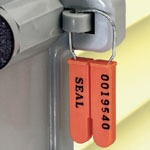 Budco can also supply custom imprinted plastic padlock seals to meet your specific needs.